On our Disney Cruise to New England Coast to Canada we visited Halifax, Nova Scotia and St. Johns in New Brunswick, and in Halifax we did the “Top 10 Best of Halifax with Lunch” and while I have to admit – I am not your typical person to get on any organized bus tours, and I typically like to rent a car, get lost and find things on my own, the one day stop in Halifax was too short to even think for anything like that, and there was NO way to see even half what we were able to see without the fantastic bus tour. We fell in love with Nova Scotia, and will be returning some day for more exploration, but if you only have one day — I can’t imagine a better way to experience Nova Scotia and see as much in such a short time. 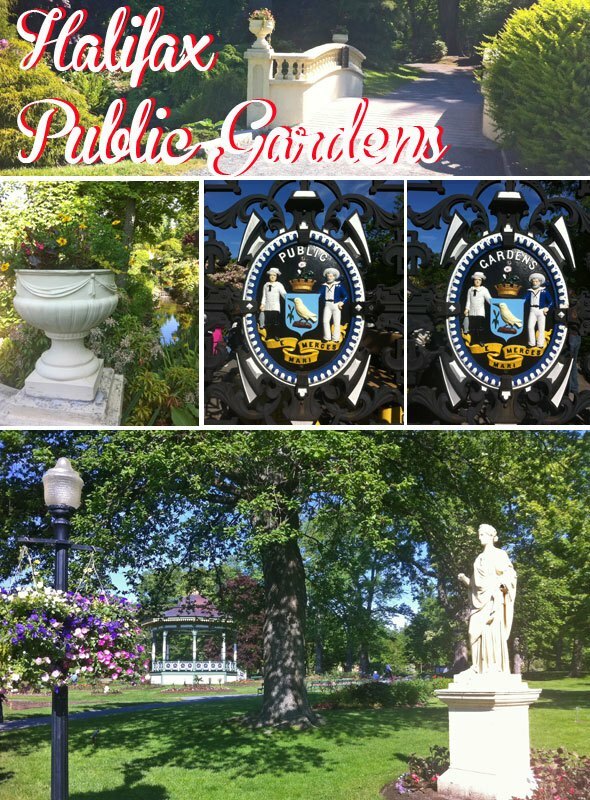 Halifax Public Gardens are 16-acre oasis in the heart of downtown Halifax and once you step through the gorgeous iron gates, the garden road leads you to feel of the Victorian times. You will feel like strolling in the olden times in the garden with ornate fountains, a bandstand, statues and urns. The Halifax Public Gardens officially opened in 1867, and the Public Gardens were designated a National Historic Site of Canada in 1984. The gardens offer plenty of great photo opps and it’s something adults and kids will enjoy alike. We loved going inside of this huge tree/bush formation and kids liked seeing a small wooden Titanic replica floating in the pond of the gardens. We had a quick photo stop at the Citadel Hill National Historic Site, and while there is so much to see that you could probably spend an entire day of learning about this British and Canadian naval base and its history, we just had a quick stop there. I would have loved to see more, but enjoyed the short visit as well. 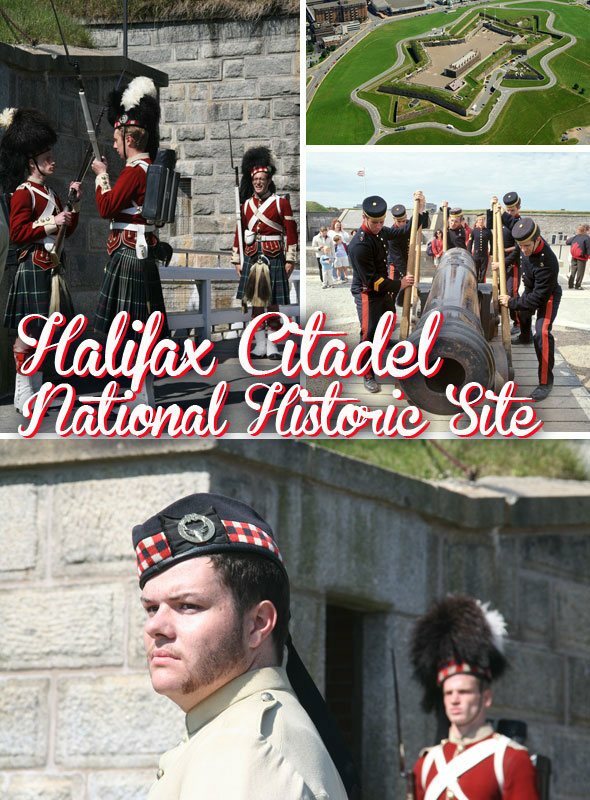 Even if you won’t go inside the Citadel Hill, I recommend experiencing two unique Halifax traditions. Every day a noon, the Royal Artillery fires the old gun at the Halifax Citadel, and the sentry change happens every hour on the hour. You don’t have to pay admission to see the guard change at the gate – just get your spot in time because it can get crowded! Peggys Cove is about 45 minute drive from Halifax, and it’s a small rural community located on the eastern shore of St. Margarets Bay. The Peggys Point Lighthouse is in the eastern entrance of St. Margarets Bay is one of the most famous lighthouses in the world. Seeing the lighthouse was my highlight of the day! 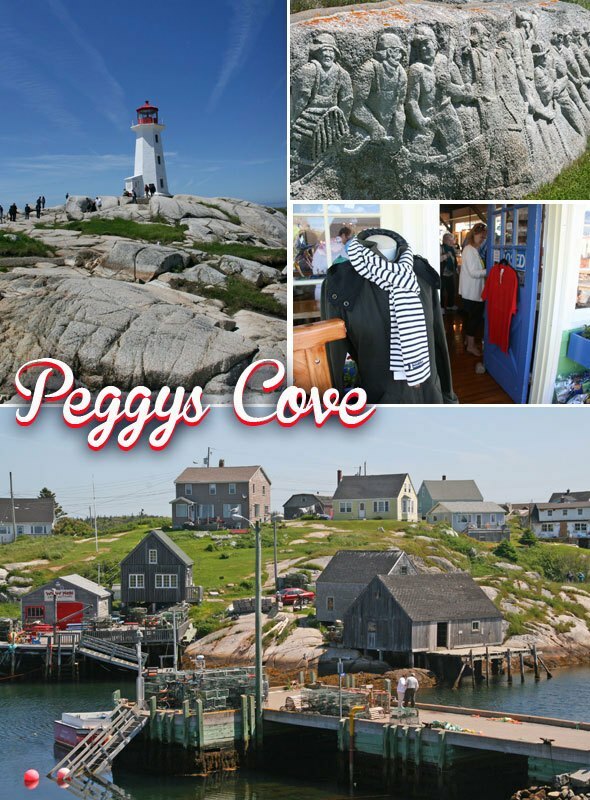 In addition to walking in the gorgeous rocks around the lighthouse and seeing it, Peggys Cove is perfect for a walk through the tiny fishing village and shopping in the few tourist shops that sell local art and souvenirs. 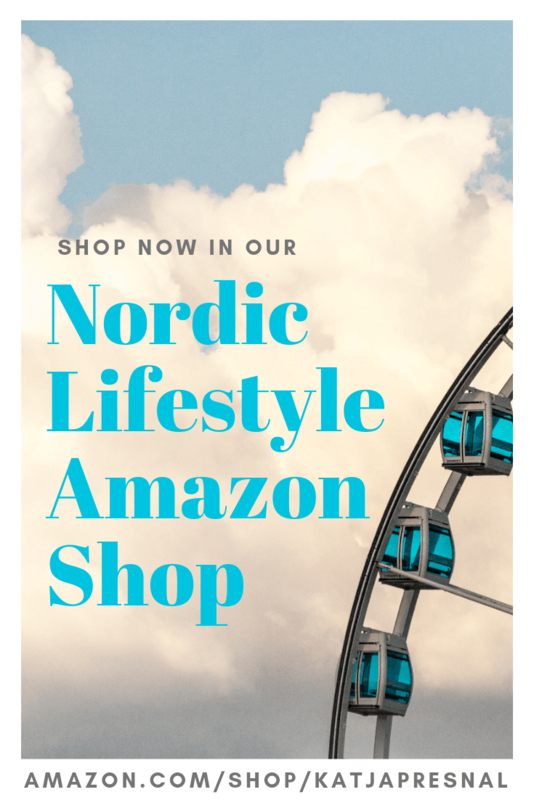 We loved shopping at the Beales Bailiwick craft & art shop where they also made espressos and hot cocoa, which got us warm in the coastal cool breeze. The famous deGarthe Monument, which artisan William deGarthe carved in the coarse stone was also a sight to see – it’s like Canadian Mount Rushmore with the fishermen carved into the stone. I of course got a huge kick out of the fact the deGarthe was originally from Finland. Visit to Peggys Cove wouldn’t be complete without some lobster chowder at the Sou’Wester Restaurant, finished with gingerbread cake with lemon sauce on the top. 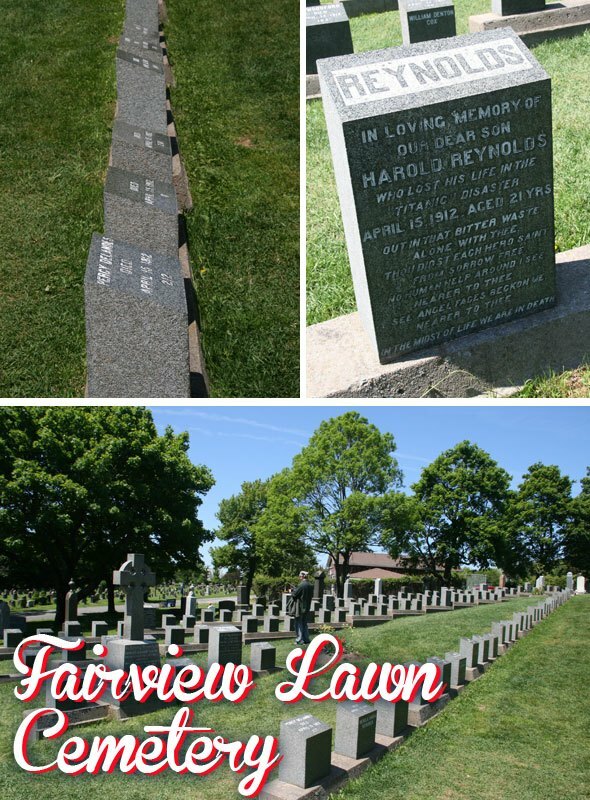 My son has a huge interest to the history of Titanic, and it may sound odd, but one of the highlights of the Halifax trip for him was to see the Fairview Lawn Cemetery. Fairview Lawn Cemetery is the final resting place of 121 passengers of the Titanic. The cemetery doesn’t look anything special, and there are no large statues or frills. Just sad rows of grave stones, and many of the Titanic graves even without names, just with numbers, in which order the bodies were pulled out from the sea. It is worth to visit, and especially with a tourist guide. Our fantastic tourist guide told us about the youngest body found, just a baby, who had been able to recognize just a few years ago, and on whose grave usually has toys to left to remind of an unlived life. And she showed us the grave that said “J. Dawson” – Joe Dawson, not Jack, like in the movie Titanic, and she said the movie makers deny they knew there really was a real J. Dawson on board. Like said, we saw Halifax as part of Disney’s Top 10 Things to See in Halifax and in addition to these sights, we also stopped at the Historic Properties in the harbor, the now renovated warehouses that once stored privateers’ booty, and now have shops and restaurants. We ate ice creams at The Cows, which is famed to be the best ice cream in Canada hoping we had had time to see a little more Halifax before boarding the ship again. The prices included the lunch, and I think for the amount of the things we saw, and the very informative guide, it is great bang for your buck! Stay tuned for more Disney Cruise and other travel posts! 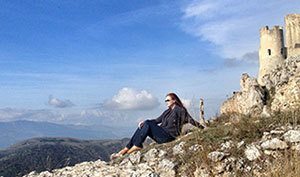 Subscribe to Skimbaco Travel via email and never miss a good travel story. Disclosure: We were in Halifax as part of the Disney Cruise as Disney Cruise Lines’ guests, but we purchased additional flights to New York City (from Sweden, mind you!) and an additional state room to bring additional family with us – because we truly think Disney Cruises are amazing family vacations. Whitney at It's Gravy, Baby! That looks not only beautiful, but interesting and full of history! I really hope to visit there one day! I didn’t realize that Disney cruises had port calls, I thought it was all days at sea! Yes! And now they have four ships, and they leave from so many different places, it’s great that you get to experience the Disney experience and the places where you visit!! What a lovely, and interesting area. Fantastic trip. I want to go there, too. What is the weather like this time of year? I love that K is obsessed with the Titanic, he is so awesome. I have always wanted to visit Nova Scotia and your photos make it look as beautiful as I imagine it is! He is currently building a Titanic out of LEGOs.. he has been obsessed with Titanic at least 4-5 years, from very young age, and that’s why I knew we had to make this trip to visit the graveyards! 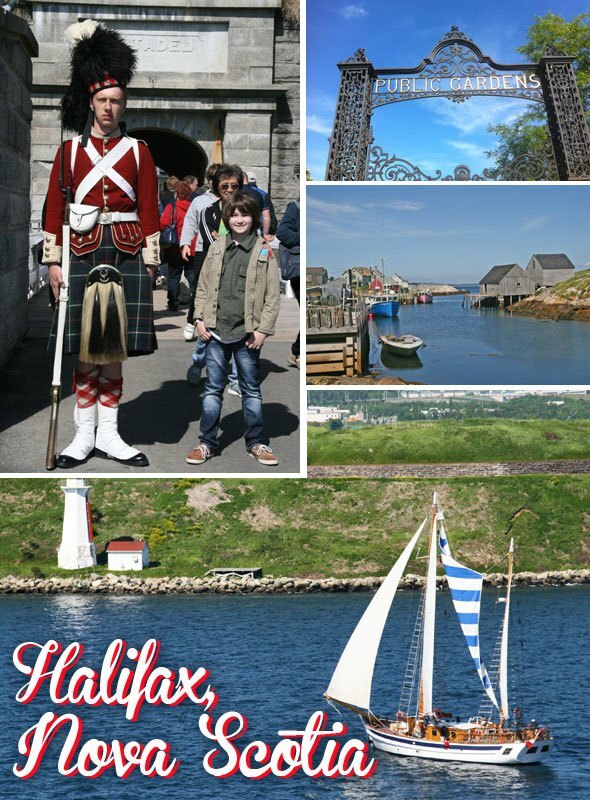 We did like Halifax a lot, and would like to go back one day for more exploring on our own. Looks like you had a great time – Heather and I were up there a few weeks ago on Carnival and had a great time! Halifax is one of our most favorite cities. Plus, now we are immortalized on Google Maps when the street view car drove by us in front of the casino! We (@ChickVacations and I) love Carnival – they are inexpensive and provide a great product. Unfortunately the trip we had on Glory (Boston to NE/Canada) was not the best we have had though. However I have talked with a few other people who have sailed since and I think because it was the first cruise from Boston that year + the crew was sailing in the Caribbean the week before + the weather was crappy it made things worse than they could otherwise have been.